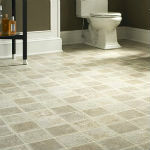 Flooring to suit any room. Welcome to Birmingham Carpets - the home of Floors Xclusive. We supply a wide range of the highest quality flooring products throughout the Birmingham, Black Country and West Midlands area. Whether you want luxurious comfort carpets and bespoke rugs for your home, or the latest in hardwood or laminate flooring for your business; Floors Xclusive provide a comprehensive range of choice at the best possible prices. We welcome domestic and commercial customers to our flooring showroom in Rowley Regis, Birmingham. You will find a huge range of samples, displays and catalogues, as well as a friendly and knowledgeable showroom team to talk you through all the options. At Floors Xclusive we offer a professional and completely free estimating and planning service, simply give us a call and we will arrange a suitable time for our estimator to visit and provide a fast, friendly quotation. You are under no obligation to buy and we guarantee no pressure sales, we just call out and leave you with a free quotation, it really is that simple! Floors Xclusive have a wide range of carpets, wood, laminate and vinyl's available at our Birmingham premises in Rowley Regis. We strive to offer the best materials at the best possible prices. We have carpets available to suit your budget. 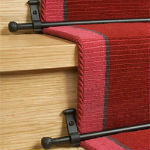 We also offer a home selection service, if required, to our customers in the Birmingham and Black Country area. Our Birmingham fitting team specialise in fitting all types of carpets and flooring and will take particular care to leave your new floor looking absolutely perfect. Our experts are experienced, full time fitters who only work for us at Floors Xclusive. You deserve and are guaranteed the very best. *within the Birmingham and Black Country area. Whichever area of your home you are looking to enhance with new floors, Floors Xclusive can not only help you to pick the perfect product from our range, but can also fit it to the very highest standards – all for a fantastically competitive price. Birmingham Carpets provide flooring services which can work in any room of your home. There really is nothing quite like a cosy, welcoming carpet to give a home a real sense of warmth, that’s why we pride ourselves on being the premier carpet fitters in Birmingham and providing a perfect carpet for our customers homes. Nothing quite matches the prestige and quality of traditional wooden flooring, with styles befitting contemporary and traditional homes. With experience of providing wooden flooring to Birmingham for over 20 years, we have an extensive range of products that will fit any taste. There are few materials that leave a room feeling so fresh and clean as laminate flooring, so we ensure that we offer Floors Xclusive customers the very best in quality laminate. Easy maintenance and a stylish appeal is what everyone asks for in flooring, we are confident that vinyl flooring provides this in abundance, which is why we take such pride in our vast array of vinyl flooring products in Birmingham. A great way to add texture and warmth to any space, modern rugs can help to spruce up your interior and come in a variety of colours to suit your taste. Whether you want something plain or patterned, we’re sure to have everything you need. From our Birmingham store Floors Xclusive, can provide all the accessories you need to achieve a lasting quality floor including underlay, door bars, stair rods, stair clips and grippers, matting, adhesives, tapes and cleaners. Your feedback is important to us. Here's a selection of kind words from our valued customers. Make an enquiry. If you have an enquiry about our products or services, please contact us. Get in touch. Speak to us. Call us on (0121) 572 1021.